It is a shame that despite being extremely popular, users of phones like Galaxy S4, HTC One, etc have to wait before certain products get released for their phones. Making an accessory for the iPhone user is just too good a chance to be missed, and a sure shot way to succeed in the accessory market. 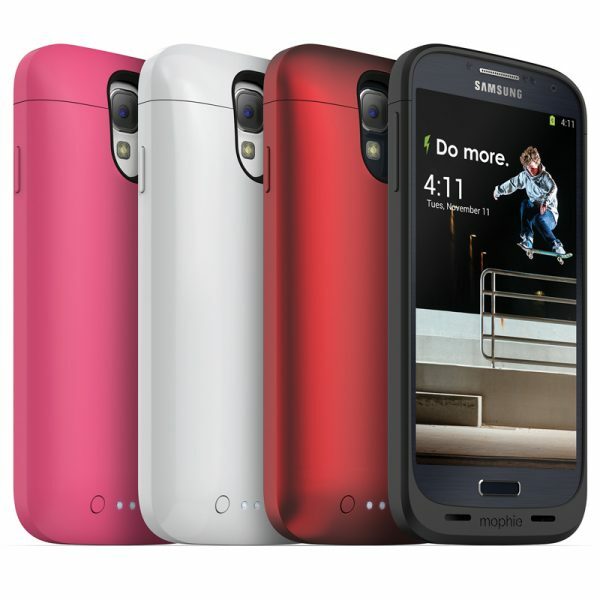 Having said that, there are a lot of good quality items out there, and Mophie have just announced one of them, the Juice Pack for Galaxy S4. Giving users up to 80% more power, with a thin and streamlined design, this is a must have for any smartphone user! Apart from being slim, and charging, it also allows users to charge and sync simultaneously using pass-through. An integrated 4-LED system also lets people tell exactly what status the Juice Pack’s battery is in. The mophie juice pack for Samsung Galaxy S4 is available exclusively from Carphone Warehouse, at £69.99, followed by its launch everywhere else in the UK.